Justfreebies.com makes no representations with regards to the quality, suitability, accuracy, content, or legality of materials that are provided on the Justfreebies.com site. This includes any other materials which may be linked to or referenced on our site. Any information that is provided by Justfreebies.com site users, which may include, though not limited to, user comments and forum posts, is provided with the best intentions. Thus, Justfreebies.com will not carry responsibility and cannot guarantee accuracy for the information provided and actions of our Justfreebies.com site users. Justfreebies.com will not bear any liability for peoples or entities with respect to any damage or loss, alleged or other, or indirectly or directly caused by the information contained within the Justfreebies.com site. If you decide to utilize site information, you do so of your own free will and choice and at your own risk. Justfreebies.com, oftentimes, may change or update site content without notice; nevertheless, Justfreebies.com does not guarantee to update its website information. Please note that Justfreebies.com does contain links to other websites. 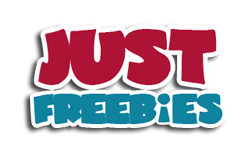 Justfreebies.com is, therefore, not responsible for the accuracy, content, opinions, or privacy practices of these other sites as we do not oversee them and, therefore, do not check them for completeness or accuracy. If we do link another website on Justfreebies.com, it does not signify our support or endorsement of that linked site. If you, the user, decide to leave our Justfreebies.com website to access any of these third-party sites, then you clearly do so at your own risk. Justfreebies.com does NOT mail out the promo items that are listed on this site. Justfreebies.com is, consequently, not responsible for undelivered items ordered via another website. If your requested items have yet to arrive, please keep in mind that packages may take over 12+ weeks to be delivered. After this such allotted time, should your items still be undelivered, Justfreebies.com advises you to contact the company directly through their company contact information. Justfreebies.com allows third-party merchant sites (“Merchants”) to advertise their promos on our site from which you may buy or otherwise acquire their products or services. You, the user, understand that Justfreebies.com does not control or oversee these goods or services offered by outside Merchants. These outside Merchants are, therefore, fully responsible for the fulfillment of orders and all aspects of customer service and billing. Justfreebies.com is not a party to these aforementioned transactions that are entered into between you, the user, and the promo Merchants. AS A USER, YOU ACCEPT THAT THE USE OF THESE SUCH MERCHANTS IS SOLELY AT YOUR OWN RISK AND IS, BY AND FAR, VOIDING JUSTFREEBIES.COM OF ANY WARRANTIES OF ANY KIND. THIS INCLUDES WARRANTIES THAT ARE IMPLIED, EXPRESSED, OR OTHERWISE. FURTHERMORE, THIS ADDITIONALLY INCLUDES WARRANTIES SUCH AS FITNESS FOR PURPOSE, TITLE, MERCHANTABILITY OR NON-INFRINGEMENT. JUSTFREEBIES.COM IS NOT LIABLE UNDER ANY CIRCUMSTANCES FOR DAMAGES THAT MAY ARISE FROM TRANSACTIONS AND INTERACTIONS BETWEEN YOU, THE USER, AND THEM, THE MERCHANTS. LIKEWISE, WE ARE ALSO NOT RESPONSIBLE FOR ANY MISINFORMATION OR INFORMATION THAT MAY APPEAR ON ANY LINKED SITE OR MERCHANT SITE. Website users transfer over to third-party websites at their own risk and subscribe to any of their offers, again, at their own risk. Justfreebies.com cannot be held responsible for any third-party, partner or affiliate site terms and conditions. We at Justfreebies.com respect your user privacy. Nevertheless, we cannot be held accountable for any unsolicited emails, unwanted advertisements, or website pop-ups once users are signed up for advertised products or services on our Justfreebies.com site. We, at Justfreebies.com, cannot be held accountable for any contracts or charges incurred by you, the user, and a Merchant, or advertiser of an offer. Justfreebies.com will not be held liable for any consequential, incidental, or indirect damages caused by an inability to properly utilize our website or any promo, product, service or offer provided. The responsibility rests solely on the site user to decide on completeness, accuracy, usefulness of all opinions, merchandise, advice, services, and other information provided through the Justfreebies.com site. There will be no circumstance where Justfreebies.com will be held liable under any contract, theory of tort, strict liability or other legal or equitable theory for any lost profit, punitive, exemplary, or consequential damages, each of these instances is, therefore, hereby excluded by agreement between you, the user, and Justfreebies.com, despite Justfreebies.com having been advised of any possible damages. As a user, you do realize that Justfreebies.com may possibly contain unedited materials which can be offensive to the user. Thus, Justfreebies.com accepts no form of responsibility whatsoever and has no control over such materials shown on the site. At any point, this Agreement may be revised by Justfreebies.com without previous notice, to the user. By continuing to use our website service, you accept any modifications made by Justfreebies.com after these aforementioned modifications have become effective. Should you, as the user, object to any new modifications, then Justfreebies.com recommends that you cease using the Justfreebies.com site and cancel any subscriptions, newsletters or otherwise, you may have with us.